November 1917. 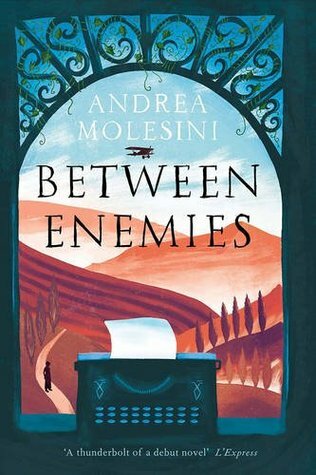 When Austrian forces advance into Northern Italy, the aristocratic Spada family find their estate requisitioned by enemy soldiers. A cruel act of violence against a group of local village girls sparks their desire for revenge. The whole family - from the eccentric grandparents to the secretive servants - have their own ideas about how to fight the enemy, but their courage is soon put to the test and it seems that some are willing to compromise. Seventeen-year-old Paolo Spada, the youngest member of the family, is forced to bear witness as his once proud family succumbs to acts of love and hate, jealousy and betrayal. Another book that I could not put down, and thanks to daylight savings time I did have that extra hour so yes I read for hours again. The book begins in Italy 1917. The aristocratic Spada family's villa will soon be overrun. War is hell, soldiers are animals, and still are. What is wrong with some men? But the book never got darkdark. I would not exactly call it light, but it had this feeling of hope. I would credit that to the main person Paolo, he was 17, but he still had hope of a future without war. He still had time to fall in love, or lust with someone. And his light makes the book lighter. He lives with his quirky grandparents. His gran takes lovers, his granpa quotes Buddha. Then there is Aunt Maria who rules. There are 3 servants, and beautiful Giulia. And of course different occupants of the villa. They are all trying to go on as normal, live their lives, but as the invaders show their ruthlessness they all want to do something about it. Such a good, and well written book. The words just flow by, light, easy to read and a book that you just can not put down. And as it is a translation, I say that it's a well done translation too. His grandma takes lovers? Poor Grandpa:( Glad you enjoyed this one overall! I still haven't adjusted to the time change either. Love that this manages to deal with a tough topic but still be somewhat quirky and lighthearted. It's nice to hear that a translated book works well. I am always wary with translated books because often so much can be...well, lost in translation. Glad that this worked for you though! I swear this week has been a month long. Nice to find a book that you just want to keep on reading. No. 1 sign of a good book! This one sounds like a good balance of war and life. And your character descriptions make me so interested. Definite possibilities here! We changed 2 weeks ago, so could not have done that. I love books that make you just want to keep reading. I need to meet his grandma. What a weird family dynamic especially for the time period. :) Glad you had fun with this one. Right, so I guess I'm adding this one too :) Love the setting and time period, not to mention being intrigued by your recommendation of the writing. Happy Friday, Linda! SO many things there and the period? So intriguing! Nice to know you enjoyed a book about war, have a great weekend! Love the sound of this one, and quirky grandparents should be fun. Putting it on my list!